Pune: Veteran actor Bollywood Anupam Kher said on Wednesday that he had quit as Chairman of the Film and Television Institute of India (FTII) here, a year after his appointment, citing his international assignments as the reason. “It has been an honour, a privilege and a great learning experience to be the Chairman of the prestigious FTII. But because of my international assignments, I won’t have much time to devote at the institute. 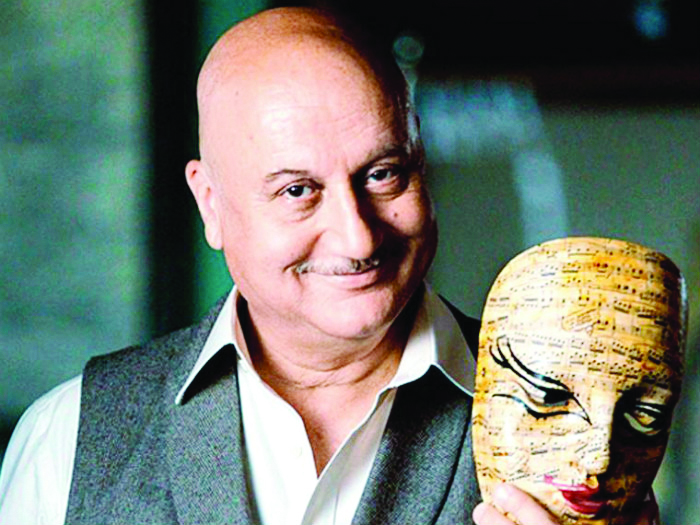 Hence decided to send my resignation,” Anupam said in a letter to the Minister of Information and Broadcasting. The letter, sent on Tuesday, was released by Anupam on Wednesday. He requested the Ministry to scout for someone suitable for the post during his notice period. The Ministry of Information and Broadcasting in a PIB statement said it has accepted Anupam’s resignation. An actor with a repertoire of over 500 movies including international projects, Anupam was named for the top post in October 2017. His predecessor Gajendra Chauhan’s tenure was marked by controversies and protests by students at the FTII campus. Anupam has been busy working in the US on American show “New Amsterdam”, which has now been extended. In the letter, he said: “This decision has not come without considerable thought of the responsibilities expected of me vis-a-vis the time I have at my disposal to execute them. At the time when I was officially approached by the former Information and Broadcasting Minister Smriti Irani to be appointed as the Chairman, I did share with her that I was due to be stationed in the US for nearly six months for an international TV show. “The latest news now is that the show has been given a further extension of four months. This translates into me being stationed in the US for nearly nine months between 2018-2019, and then for a similar period for a minimum of three years or more. Given this assignment, it would not be fair to me, the students and the management team for me to hold a position of such responsibility and accountability without being actively involved in the operations,” the actor wrote. On Wednesday, the first meeting of the new FTII Society and governing council was held in Mumbai. Actor-filmmaker Satish Kaushik was elected Vice President of the FTII Society.